Kindergartners Delight in "A Day on the Farm"
You may have noticed a few barnyard animals wandering around the Norwood campus this week. 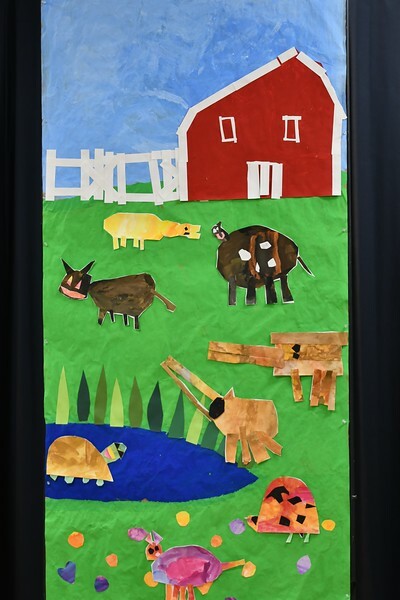 That's because the kindergartners presented their spring performance, "A Day on the Farm," which involved a host of farm favorites like cows, hens, geese, donkeys, sheep, dogs, cates and even a sun and a moon! The performers did a fantastic job on stage and completely charmed two audiences: their parents on March 13 and their lower school friends on March 14. Congratulations to the kindergartners and to their music teacher, Mrs. Lostoski, who put in many long hours of work on the farm!